As cattle farmers struggle with rising temperatures, scientists are scrambling to find solutions. In the second of a three-part series on climate, we meet a calf genetically engineered to withstand heat and get a taste of lab-grown beef. Artificial intelligence will change all of our jobs, according to IBM's Chief Executive. But will the technology augment workers or replace them? Ms. Rometty spoke with WSJ Editor in Chief Matt Murray at the World Economic Forum in Davos, Switzerland. Shifting weather patterns and rising temperatures are altering what crops farmers can plant. In the last of a three-part series on climate, we examine how advancements in AI and genetics could help farms battle drought and crop disease. Encore edition: Kenya and China have rapidly embraced mobile wallets. Why are Americans still reaching for cash and credit cards? We speak to the experts and explore a future where making a payment could be as easy as nodding your head. The WSJ's David Pierce sits down with David Limp, Amazon's Senior Vice President of Devices and Services, to discuss Alexa's next moves. Plus, an inside look at how Amazon chose its newest headquarter locations. Dara Khosrowshahi, chief executive of the ridesharing giant, talks with the WSJ's Gerard Baker about expanding Uber's reach, fixing its work culture and setting the course for an initial public offering. Instagram Co-Founder Kevin Systrom sits down with Wall Street Journal Editor in Chief Matt Murray to discuss social media's evolution amid increased content scrutiny. The WSJ's Jason Anders sits down with Ruth Porat, CFO of Alphabet and Google, to discuss Google's equity culture, collaborating with the military and understanding AI bias. The WSJ's Jason Anders sits down with Richard Clemmer of NXP Semiconductors and Renee J. James of Ampere to discuss life in the fast-paced semiconductor industry, the impact of U.S.-China relations and the future of computing. The global race for autonomous vehicles is on-but roadblocks lie ahead. 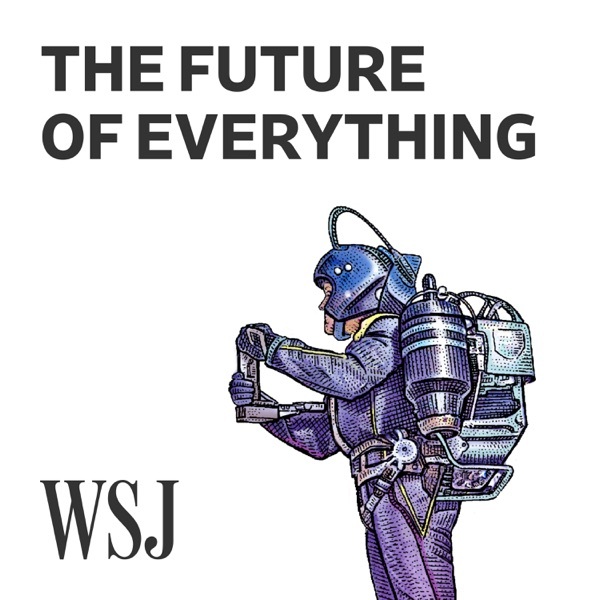 Waymo CEO John Krafcik tells WSJ's Jamie Heller about his company's plans to launch a commercial self-driving car service in the coming months. Advances in gene editing and DNA analysis are allowing parents unprecedented control over the traits their children will inherit. In this episode, we explore the science-and ethics-behind the movement. Customized Kids: Are Designer Babies on the Way? The days of diamond mining may be numbered, and lab-grown stones have become almost indistinguishable from those pulled from the earth. In this episode, we talk to the diamond dealers and growers hedging against a future in which the mines run dry. The wars of the future will be fought in megacities around the world by soldiers connected - and possibly even augmented - by neural implants and AI. In this episode, we examine how military leaders are preparing for a radical shift in combat. The restaurant industry is embracing automation, from robot-staffed espresso bars to fully automated burger chefs. In this episode, we explore what this means for workers, diners and--most importantly--the quality of our food. Robot Restaurants: Good or Gimmicky?